A platform created for those looking to buy or sell various goods and services using tokens. FLOGmall is an international e-commerce platform launching a revolution in the world of investment, and created for users from all over the world, who sell and buy various products and services with tokens. . FLOGmall is a service without any real analogues. Stores will be displayed on FLOGmall in a new, unique format called LiveStore. The “live store” is a combination of blog and video content about sellers, stores, goods, and services. The FLOGmall platform is designed to solve problems at the same time both sellers and customers will benefit. An individual and transparent approach to the goods and services purchase at attractive prices is possible only in the absence of the retailers and wholesale distributors intermediation. Customers should decide by themselves what goods and services they want to order. The main goal of the FLOGmall platform is to provide customers with the opportunity to choose what they need, rather than what it is profitable for retail chains to sell. Sellers working with FLOGmall will not need expensive marketing. FLOGmall allows to create easily your own marketing programs to encourage customers directly. Thanks to the new LiveStore format, the seller has the opportunity to present the product in a more qualitative way, to increase the trust index to his own business, to win a loyal audience and, as a result, to increase sales. Various electronics, appliances, clothing, and other day-to-day items will now be available to token holders. It would be as if Ebay, Amazon, or Alibaba shared profits with average people just because users are buying and selling goods and services on their platforms. FLOGmall provides an opportunity to buy and sell goods and services with cryptocurrency in any part of world. What is the difference between the FLOGmall and other e-commerce platforms? FLOGmall brings and provides users the opportunity to buy and sell goods and services for cryptocurrency from different part of the world. 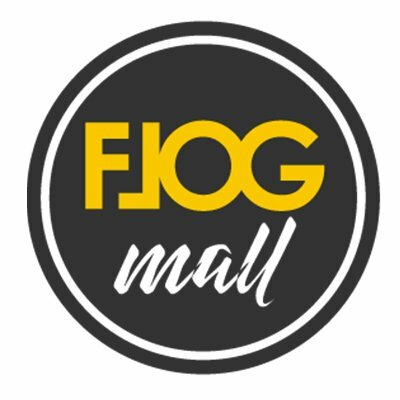 FLOGmall provides Live stores with convenient navigation for users. Live store brings a unique opportunity of the platform allows sellers to present their goods or services in a favorable light through the video content and consumers can take a fresh look at the impersonal stores. It has thousands of personal ads for goods and services and provides cashback and discounts for tokens. FLOGmall has secure purchase with the use of smart-contract. FLOGmall is available to buyers from all over the world. Goods and services can be purchase with any altcoins. FLOGmall gives honest feedback about every seller. It also provides ample opportunities for bloggers to promote products via the internet. Free platform with minimum charge for additional services. Access to a new growing market of cryptocurrency holders with high purchasing power. Equal opportunities for all sellers at an early stage of goods placement on FLOGmall.